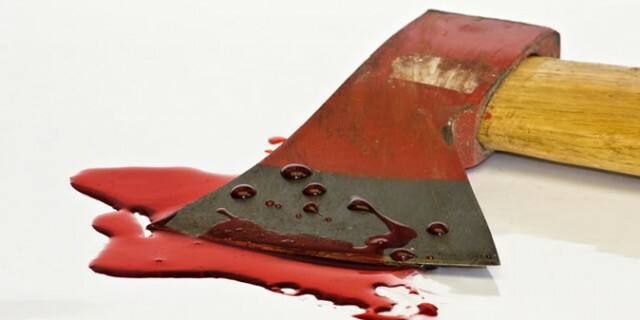 A nine-year-old boy is facing a charge of culpable homicide after he accidentally hit his four-year-old neighbour with an axe on the head resulting in his death. Matabeleland South provincial police spokesperson Inspector Philisani Ndebele said the boy who could not be named for ethical reasons was at the top of a tree cutting off branches when he threw an axe to the ground and it hit the four-year-old boy. He said the incident occurred on Sunday last week around 1pm in Kwidze area in Gwanda and the four-year-old died the following day at his home. “There is a four-year-old boy who died after he was accidentally hit by a nine-year-old boy with an axe on the head. The boys were collecting firewood and the nine-year-old boy was on top of the tree chopping off some branches. “When he was done he threw the axe to the ground in order to get down from the tree. In the process he hit his four-year-old neighbour who was standing under the tree and he sustained head injuries. “The boy is facing a culpable homicide charge,” he said. Insp Ndebele said the guardian of the four-year-old boy nursed him at home and did not take him to hospital following the incident. He said the boy’s condition worsened overnight and he died on Monday morning before he could be taken to hospital. He urged parents to seek medical help when children got injured in order to avoid loss of life. “It’s important for parents to seek medical help immediately when their children are injured because some of them can suffer from internal injuries or internal bleeding which can lead to death. “In this case this boy could have lived if he was taken to hospital soon after the incident occurred but instead his guardian decided to keep him at home. “We would also like to urge parents to monitor children when they are using dangerous tools,” said Insp Ndebele. Mr Nkosana Sibanda who is the headman’s secretary said the four-year-old boy was staying at home with his grandparents who revealed that they had overlooked the need to take him to hospital as they thought he had sustained minor injuries. He said the boy was set to be buried today as relatives were still waiting for his parents who work in South Africa.